The process of getting your Galaxy Fold as early as possible was separated in two stages. First, you had to go through a reservation process and then, once preorders went live, you could turn your reservation into an order. Apparently, Samsung underestimated the number of people that would want to purchase the $2000 smartphone and some reservation holders were left out from the first wave, according to DroidLife. Those that weren’t quick enough to place a preorder were informed that “due to overwhelming demand, the Galaxy Fold is currently sold out on Samsung.com”. Worry not, however, Samsung will still take your money, but at a later date, when more units are available. When that’s going to be is unclear, but Samsung will notify you via email, so keep your credit card close by. If you want to get your Galaxy Fold from a carrier, however, you’ll be able to do that starting April 25 for T-Mobile and April 26 for AT&T. Verizon and Sprint haven’t announced an official release of the Galaxy Fold although the device will support their CDMA networks. Around the same time is when the foldable phone will make an appearance on the shelves of major retailers, both brick-and-mortar ones and online. There’s no information about how many Galaxy Folds were dedicated for the initial release on Samsung.com, but the number was likely low for the company's standards. It could have easily been just a couple of thousand units, if not less. Still, the fact that Samsung was “overwhelmed” by the demand for the Galaxy Fold shows that there are more people that are willing to give this new tech a try than initially expected. Now that more unbiased (hopefully) opinions about the phone are coming out, we’ll see if people will still be as eager to get one whenever the second wave is available. But what is the Galaxy Fold all about? The Galaxy Fold is all about that massive “internal” display that unfolds to give you more screen area than any other smartphone available on the market right now. While the diagonal might not be much larger than the 6+ inch flagships we have today, because of it’s 4:3 aspect ratio, the gain in screen real estate is significantly higher. 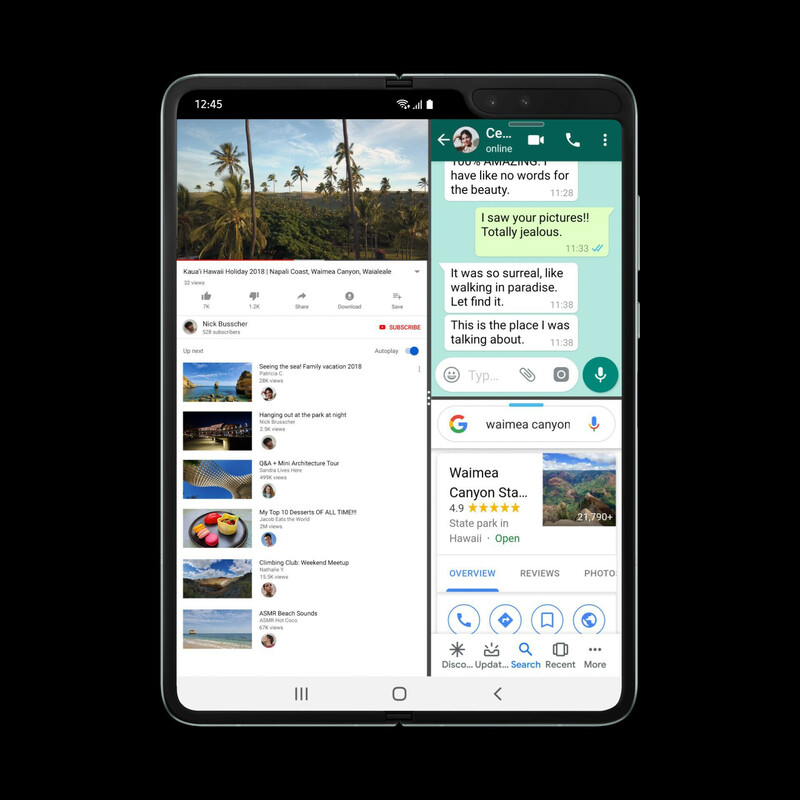 To make use of that, Samsung has reworked its software to allow for split-screen multitasking that allows simultaneous use of up to three apps, with additional ones you can have floating around in separate windows. The user experience is somewhat spoiled by the giant notch in the corner of the display but apparently, Samsung decided it’s worth the compromise. Another thing worth mentioning when it comes to the display is that unlike other smartphones today, which have scratch-resistant glass-covered displays, the foldable display on the Galaxy Fold is made from plastic. This makes it susceptible to damage and scratches. And while it is mostly protected while folded, there’s still a small gap in which something might sneak in while the device is in your bag or pocket and potentially ruin the otherwise beautiful screen. And yes, there is a crease in the middle that’s noticeable from certain angles and you can definitely feel it with your finger as well. Samsung has said before that this device is just the first of a new line of foldable devices, but hopefully, the attention the Galaxy Fold is gathering will force them to work towards making the next model more affordable and widely available. 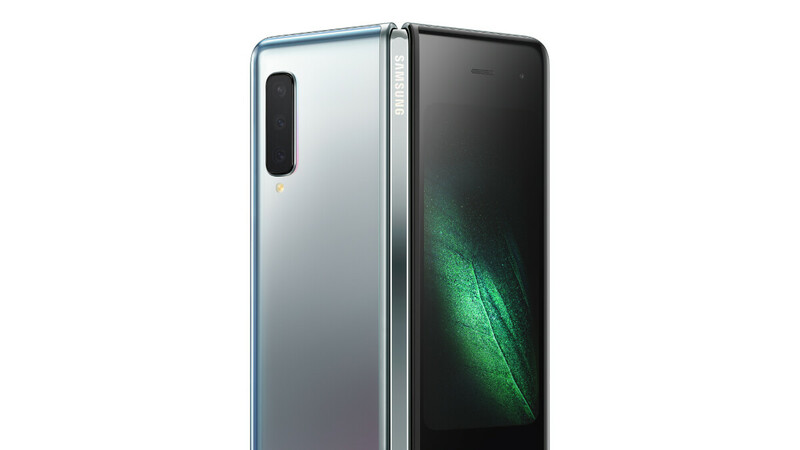 I lot of people are forgetting that the Galaxy fold comes standard with 12 GB of RAM, 512 GB model f expandable storage, wireless ear buds that can be charged by the folds reverse wireless charging. Plus it has 6 cameras in total. There is literally a lot of Smartphone/tablet in this device. It even has dex, or the desktop support built in. It also comes with Microsoft office included for free. Personally if the fold came with the spen, then it would have killed off their Note series. And it would have been a no brainer for me to purchase. all it needed was an s-pen!!!! This is really stupid and ridiculous. I mean have they really run out of ideas? This is the best they can come up with? Cause their comment section is wack & they spend their time 'updating' the look of the site. Emojis? Are you a teenage girl? I need to see it in person but then again even tho i can afford it i have verizon. And its too much hassle to use on on verizon from what they mentioned in another article here . Good to hear the positive reviews early on but for me this is far too 'first gen' for me to get on board. Excited for the future though. Positive in few hours but issues after a day. They hit a home run with their 1st gen, I can only imagine how much better the Fold 2 will be. The only con I keep hearing about is the price, which will definitely go down a bit when it becomes more mainstream. For a few thousand sales is a hit but for apple with 10million to 20million is a doomed. Go troll somewhere else, I'm not in the mood to entertain fanboys. Looks like peaceboy is desperate to get banned again. This story has wounded him and his ilk deeply. They were desperately hoping that the Fold would be “big flop”, as our little friend midan would say. Exactly, they were expecting a much worse outcome of the Fold's release. Its expensive but I do think its priced right for its innovation. It has 512gb storage, 12gb ram, more screen, more cameras and basically everything the s10 plus has. Plus its a first gen product thats innovative. Hopefully in the future the price will go towards 1500. I would have totally bought one if I had money to spare. I mean, people pay 1450 for an iphone xs max 512gb. And watching reviews on youtube, it works well. Can you imagine in the future having the s10+ screen on the front of the fold.... omg cant wait. Don't forget the Galaxy folds come with wireless ear buds, and they can be charged by the fold, especially since it supports reverse wireless charging. About the screen... if its made of plastic for the obvious reason of the fold mechanism, can we have like 2 screen protectors on both sides of the screen? only the crease would be exposed. To all those people who said that Fold will be flop device were the same people who doubted the first Galaxy Note by saying who will be buying such humongous device & that too with a stylus and here we are with big phones everywhere to an extent that 5.5” is now considered compact. I won’t be saying that Fold is amazing as it has some issues in it’s first generation but yes Folding phones are the future. Dude Huawei's version is a joke. You'd be lucky to not scratch that monstrosity in two weeks. The mate X is has an impractical design. Folding plastic screen on the outside is a really bad idea. I disagree. There are advantages to having it fold outward vs inward and vice versa plus the Mate X has a case for it that will provide it protection.